Here are 5 things that you should do from a personal finance perspective in the New Financial Year. March ending and April beginning is not only a New Financial Year but also a new lunar year. As the New Financial Year beckons, you would see your annual appraisal increments flowing in. A New Financial Year can also bring new expenses like increased rent, revised tuition fee for the kids etc. What you would also realize is a sudden a drop in calls from Mutual Fund companies, banks and other financial institutions asking you to invest in investment and insurance products. This marketing blitzkrieg happens every year principally because the majority of us for some strange reasons tend to plan all our investments towards the end of the year. While you celebrate your promotion or a salary raise, it is also an important time to plan your next financial year. And as all corporates do their yearly planning, it is imperative that you should also plan your personal finances for next year. Here are 5 things that you should do from a personal finance perspective in the New Financial Year. If you had set up financial goals for the previous year, this is a good time to review them. Look at how you performed on each of the goals you set up for yourself. The top questions you should find answers to include. 1. Were your expenses more or less than what you budgeted for? 2. Did you put enough money for your long term goals? 3. How did you manage your tax investments? 4. How did you respond to changing market trends to balance your investments and portfolio? 5. Is your portfolio aligned to your long term and medium term goals? 6. Did you deploy your money well or it was lying in your savings account? This is the time of the year when you should review your ongoing financial plan, sit with your financial planner or if you are managing things on your own, open your financial plan document and review it. Check if you are on track to achieve your long-term and medium-term goals. Do you need any changes in investment strategy etc. Do you foresee any major changes in your income or expenses this year for which your need to recalibrate your financial plan. If you do not have a financial plan, I strongly recommend that you should start working right away to build one. A good financial plan should be flexible, should provide for contingencies, manage your risks and set up achievable financial goals. One important thing that changes in the New Financial Year is that you would have got an increment or a salary raise so your household income might change. Your expense profile might also change (like your rent can go up), kids tuition fees can go up etc. So this is a good time to do a fresh budgeting exercise. The start of the financial year seems to be a good time to relook at your budget sheet and rework the numbers for the upcoming year. 1. Systematic investments grow your money faster and better than one time dumping that happens at the end of the year. 2. Starting early in the year will help you plan and invest in right instruments. If you're planning to invest in ELSS Mutual Funds, use an ELSS calculator to look at how your money can grow with monthly SIP. The start of the New Financial Year is also the time to file your tax returns for the previous year. Talk to your CA or use any online tool to file your tax returns. 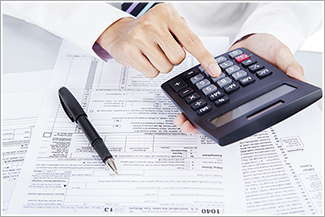 Filing tax returns have become lot easier now so you can do it on your own also. Financial wellness is a journey which requires proper planning and regular updates to plan in light of new developments. Start thinking in terms of your money being proactive and not reactive. Have a great financial year ahead. The author, Sarabdeep is Co-founder of bodhik.